Pennsylvania plays host to more than 86,000 miles of streams and rivers and boasts some of the best trout fishing in the world. The Pennsylvania Fish & Boat Commission (PFBC) sold 736,867 Resident licenses in 2012. Clearly fishing in Pennsylvania is alive and well. Pennsylvania residents pursue many different species of fish all across the Commonwealth but no fish is targeted more than wild and stocked trout. Whether you’re looking crawl on your hands and knees to sneak up on a wild brook trout in a mountain stream or fill your creel with brookies, browns, and rainbows from a well-stocked streamed, Pennsylvania can offer every trout angler the experience they are looking for. 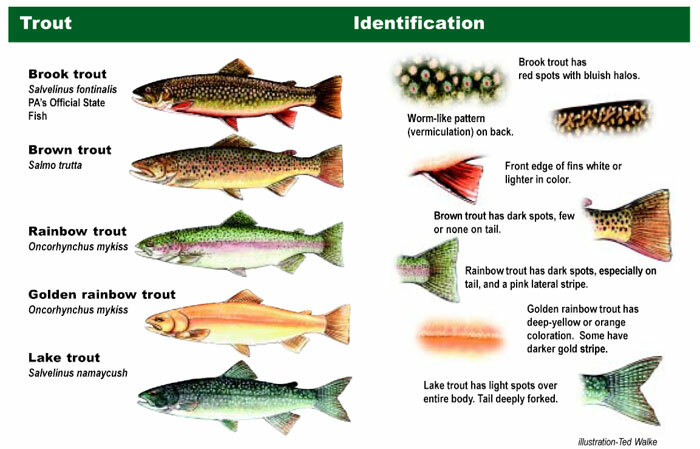 Before you run out and buy a license to begin your trout fishing adventures there are a few things you must be able to do. It is absolutely necessary to identify your target. Trout fishermen must also know when they can and cannot be fishing. 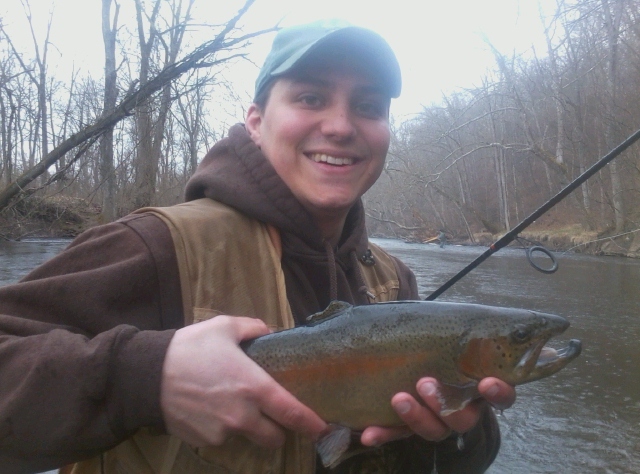 Trout season began on March 3oth this year for the 18 Southeastern Counties and will open Statewide on April 13th. For further details take a look at the PFBC fast facts about Trout fishing webpage. 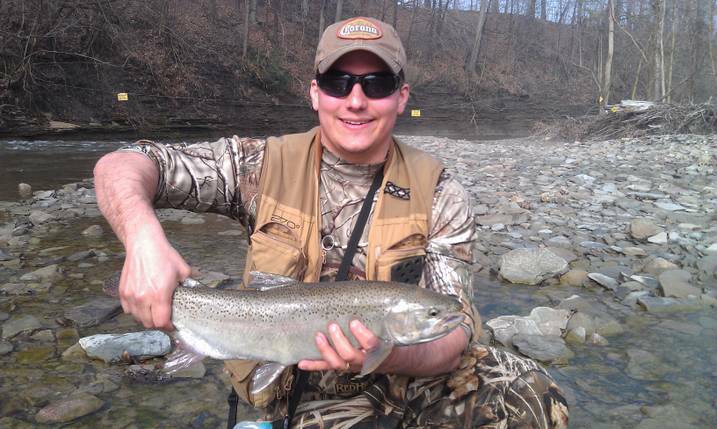 Check out the PFBC 2013 Trout Stocking Schedule to see when stockings will occur in your area. This will help beginners find the fish they are pursuing. Finally, don’t forget to join your local Angler’s Association. Many of the larger Angler Associations take part in a co-op hatchery program with the PFBC. These clubs do many good deeds to help the public fishing in and around their local areas. They do everything from cleanup and reclamation to fish stocking. Be sure to pitch in a help at your local hatchery and with fish stockings. We must all do our part to make sure the long-term security of Pennsylvania’s trout fishing to protect for future generations. Good luck and tight lines! As always, send your questions to teamsurra@gmail.com. Don’t forget to “like” us on Facebook and follow us on Twitter @SurraOutdoors.